BREWER, Anna Elizabeth, 90, of Decherd, died Thursday, April 11, 2019. Visitation was held from 5-8 p.m. Saturday, April 13, at Moore-Cortner Funeral Home. Funeral services were at 3:30 p.m. Sunday, April 14, in the Moore-Cortner Chapel. Interment followed at Franklin Memorial Gardens. Moore-Cortner Funeral Home is in charge of arrangements. DUKE, Ralph Junior, 95, died Sunday, April 14, 2019.
HENLEY, Norma Jean, 77, of Winchester, passed away Friday, April 12, 2019. Visitation was held from 5-8 p.m. Sunday, April 14, at Moore-Cortner Funeral Home. Funeral services were held at 3 p.m. Monday, April 15, in the Moore-Cortner Chapel. Interment followed at Franklin Memorial Gardens. Moore-Cortner Funeral Home is in charge of arrangements. 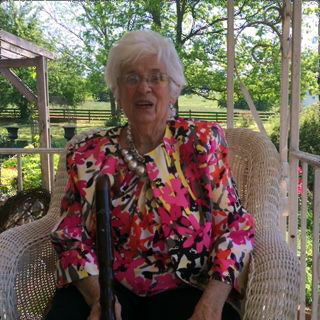 LUSTY, Sarah Helene “Helen” Woodard Wiseman, 93, of Lynchburg, passed away on Friday, April 12, 2019, at Bailey Manor in Manchester. She was born on February 8, 1926, in Lincoln County to the late Bryan and Lois White Woodard. Helene was employed by the Moore County Department of Education for over 60 years as a school teacher. She was a member of the First United Methodist Church, as well as DAR, Delta Kappa Gamma and Eastern Star. Helene enjoyed flower gardening and working in the yard of her family farm that is a Tennessee Century Farm. She enjoyed various summer trips with her daughter and cheering for the University of Tennessee Volunteers (a proud football season ticket holder since 1976.) In addition to her parents, Helene is preceded in death by her husband, Horace Bedford Wiseman. She is survived by her loving children, Horace Bedford (Elaine) Wiseman II, and Nancy (Steve) Graham of Estill Springs; grandchildren, Nathan Poe and Richmond Graham; and great-grandchildren, Ian Poe, Jonathan Graham, and Hannah Graham. Visitation was held from noon to 1 p.m. on Monday, April 15, at Jennings-Moore-Cortner Funeral Home. Graveside services followed at 1 p.m. at Lynchburg Cemetery with Nathan Poe, Richmond Graham, Billy McGee, Steve Graham, Jim Woodard, and Ian Poe serving as pallbearers. Jennings-Moore-Cortner Funeral Home is in charge of arrangements. MARTIN, Lloyd, 54, of Winchester, died April 11, 2019. A memorial service was held at 1 p.m. April 13 at the Winchester Church of Christ. Lloyd donated his body to the UT Knoxville Forensic Anthropology Research. A benefit will be held from 11 a.m. – 2 p.m. Saturday, April 20, at Swann Equipment. Moore-Cortner Funeral Home is in charge of arrangements.